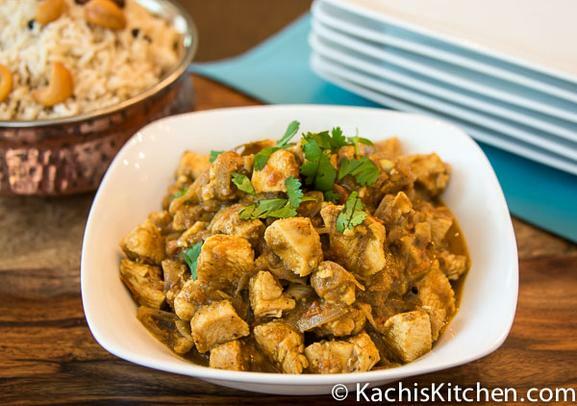 Looking for the best way to make your favorite Indian dishes at home? 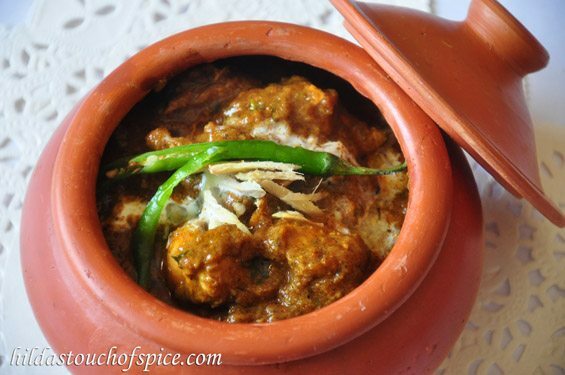 Look no further, these are the best clay pots for cooking Indian cuisine on the market! Check out what we reviewed just for you. So, what's the hype about clay pots? Since metal cookware has dominated the kitchen scene, clay cookware was not needed. However, clay cookware is now emerging from history and with good reason too. Clay cookware is made from earthenware, which has many natural properties that make it unique from metal. First, clay is porous, so it captures moisture and allows it to circulate while cooking. Because of this, you can cook with less oils and fats. Also, clay pots are slightly alkaline, which neutralizes acidic foods like lemon and tomato when cooking. In northern states including Panjab, Uttar Pradesh, Haryana, Rajasthan, the cooking pots are called handi. Traditionally, Indian chefs could cook many dishes simultaneously by stacking handi while cooking. 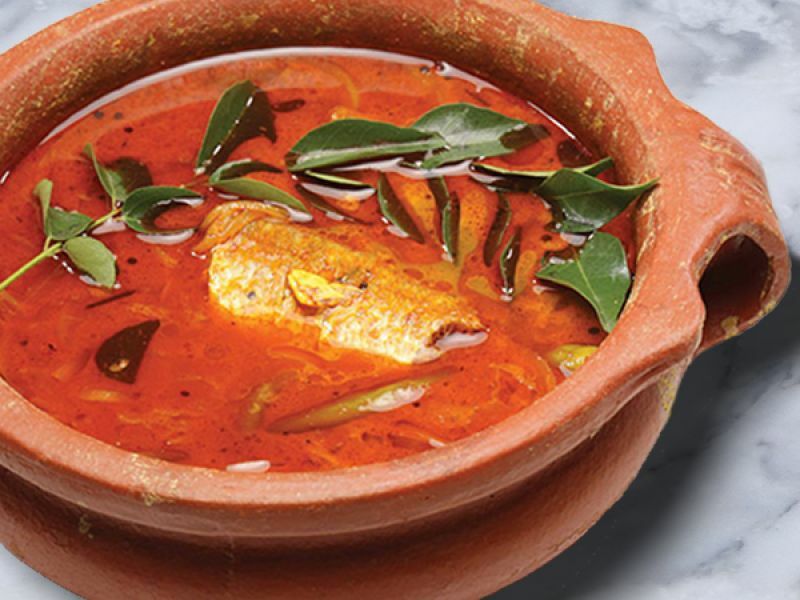 In southern states of Andhra Pradesh, Kerala, Tamil Nadu and Telangana, the cooking pots are called 'man panai', 'man satti' in Tamil, 'kunda', 'matti kunda', 'kadava' in Telugu. In order to keep your clay pots in tip-top condition, you'll need to keep it seasoned. When you season clay pots, it increases the durability and longevity of the pot. Plus, it keeps it from cracking on the stove top or in the oven. Rub all unglazed surfaces with a clove of garlic or olive oil. Fill the pot about 3/4 full with water. You can either leave it on the stove on low heat overnight or put in the oven for 2-3 hours. After it cools, your clay pot should be ready to use! It is absolutely essential that you clean your clay pots carefully. Since the clay is porous, do NOT use soap and water to clean the pots since the soap will soak into your pot and food. Instead, you can use very hot water and a brush to scrub your pot. Also, you can use a mixture of baking soda and vinegar to clean the pots as well. If you have tough stains, you can soak the pot in 1-4 teaspoons of baking soda and water overnight. The baking soda will help remove any odors collected in your pot, too! Want the perfect curry pot to make delicious Indian curry at home? This gorgeous extra large sized curry pot is perfect to feed the whole family. Made from beautiful earthenware, this pot is unglazed and totally free of any toxic materials. Coming in at length 9.5 inch (including handles), Width 8, Height 4.5, Diameter 7.25 and Capacity 1.5 qt, this is the perfect size for a family of four (plus leftovers). Also, the pots are 100% eco friendly and last many years. On top of that, they are handcrafted in Nadu, India with natural clay of the region, which gives the various shades of reddish-brown. Overall, this curry pot is the perfect addition to your kitchen arsenal. 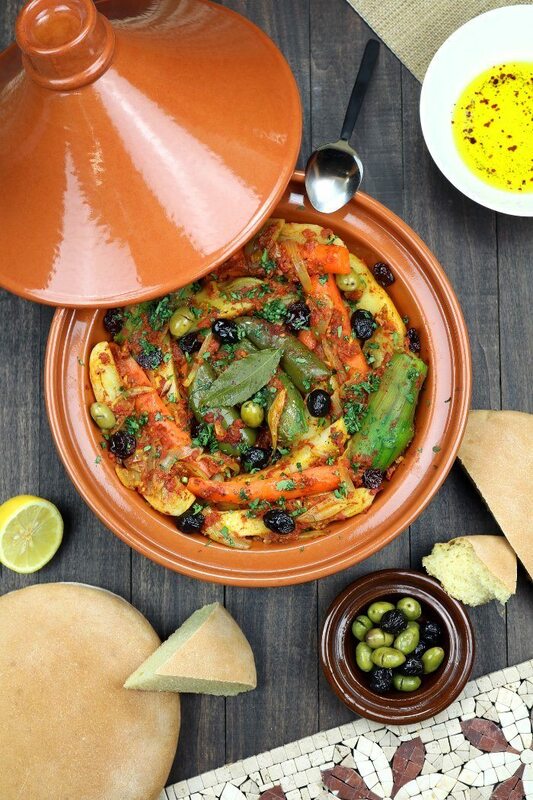 Once you use this clay pot, you won't want to cook with anything else! If you're looking for a hand-crafted cooking pot that can do it all, this is the pot for you. The pot itself is 100% eco friendly made of red clay and free of toxic materials such as lead and glaze. Although the photo makes the pot look large, the actual dimensions are Height – 5,2”\13 cm, Diameter – 6”\15 cm, capacity – 30oz\900ml. This is perfect for cooking smaller curries or side dishes. Each piece is uniquely designed and hand crafted, so the colors may vary. Also, this ceramic cooking pot is intended for cooking in the oven (gas or electric) or heating in the microwave oven. Do not use it for cooking on gas or electric hot plates. 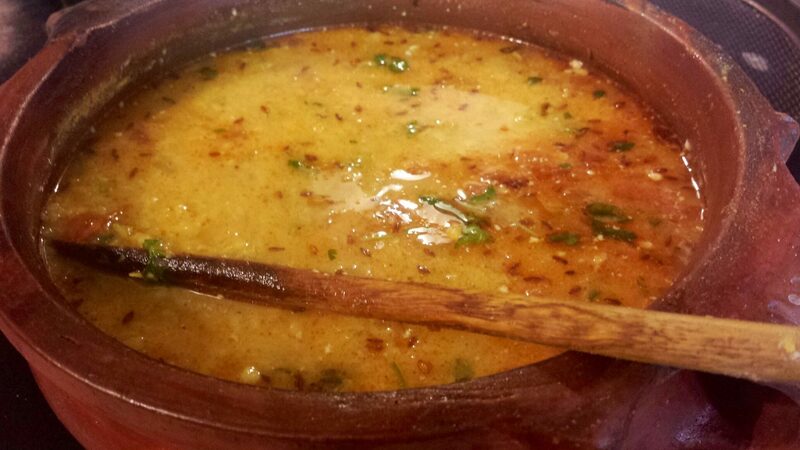 In the end, we know that you'll ​find this is one of the best clay pots for cooking Indian cuisine! 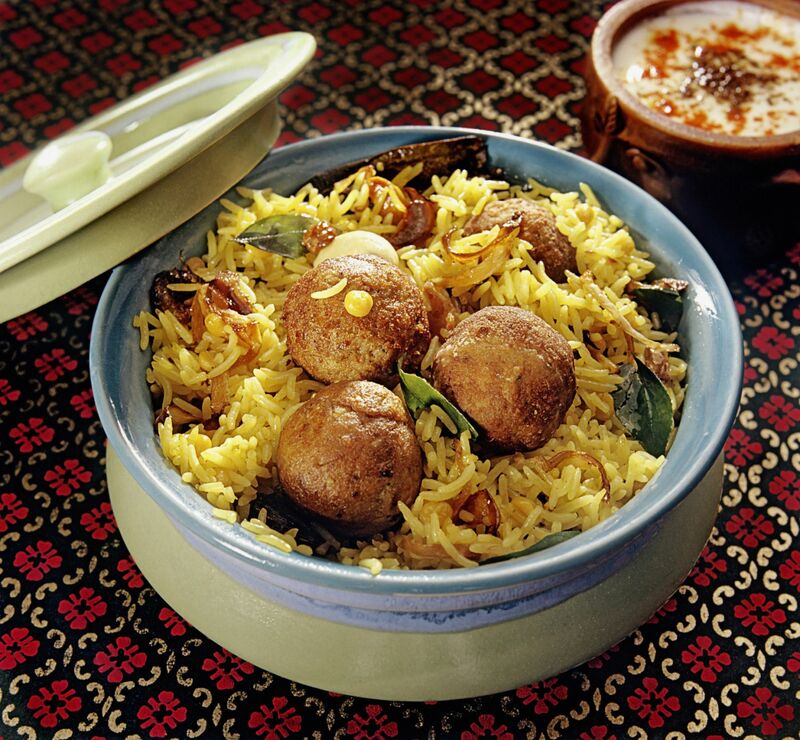 These clay pots are one of the best for making delicious biryani the traditional way. Specifically, this pot is perfect for the slow-cooking dum pukht method which dates back to early sixteenth century, in which the dish is cooked in a sealed vessel. The pots themselves are almost a spherical shape with a narrow mouth to allow it to be sealed off with a kneaded flour dough. Traditionally, there are no handles on the pot, so they must be lifted by gripping the rim or cupped. Also, these pots are 100% eco friendly, waterproof, and food safe. The pots can be used in traditional or micro wave oven, open hearth/charcoal ovens, or over direct heat, and serve as a perfect serving vessel to go directly to the table for an authentic presentation. In conclusion, these beautiful clay pots will give you the tools you need to serve up delicious and traditional Indian cuisine. This is the little brother of the previous clay pot we mentioned. 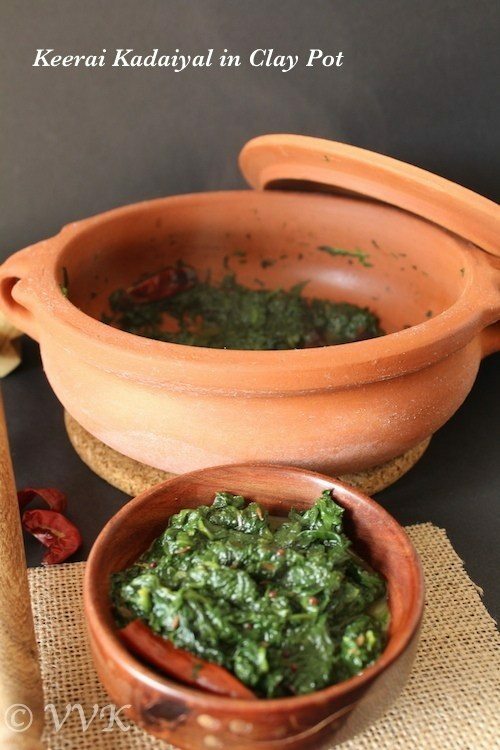 Specifically, this pot is perfect for the slow-cooking dum pukht method which dates back to early sixteenth century, in which the dish is cooked in a sealed vessel. In conclusion, these beautiful clay ​pots will give you the tools you need to serve up delicious and traditional Indian cuisine. If you love Indian Cuisine, you probably eat more yogurt than most people. 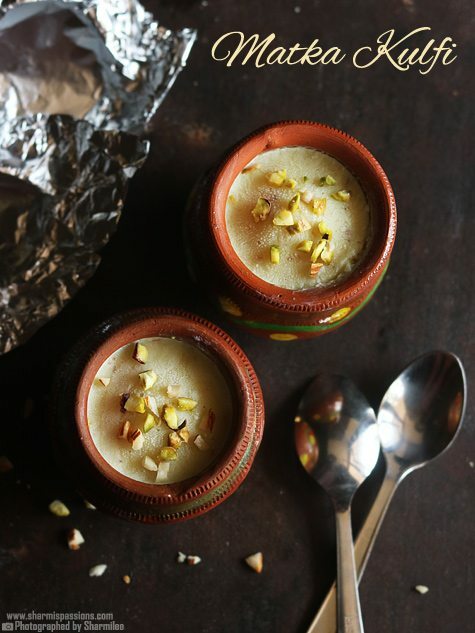 And there is no a better way of having really good tasting yogurt than to make it yourself in this unglazed Indian Clay Yogurt Pot. This yogurt pot is made without any harmful additives, sugars, or artificial thickeners contained in most commercial varieties. Also, these gorgeous Yogurt Pots are hand crafted by artisans in Tamil Nadu the same way they have been for centuries. 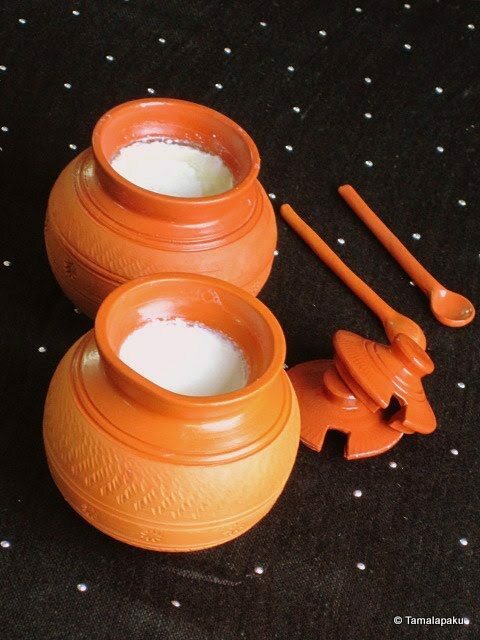 Its unglazed finish used in most Indian homes, produces thick and silky yogurt as the clay allows the water to evaporate slowly through the micro pores. It’s small size allows the making of small batches, to also have fresh yogurt on hand. The Yogurt Pots are made from pure natural clay, and totally free of any toxic materials or lead and 100% Eco friendly. If you're a massive fan of home made Indian style yogurt, you MUST get these pots! For those of you who want the convenience of a slow cooker but also the flavor of traditional clay cooking, this is the perfect pot for you. The VitaClay VM7900-8 Smart Organic Multi-Cooker does it all! This machine acts as a rice cooker, slow cooker, digital steamer and also a yogurt maker! Coming in at 4 quarts/8 rice measuring cups, you can create delicious traditional Indian dishes with a push of the button. Large batches of probiotic, calcium-rich Greek-style yogurt can be made fresh at home. Preparing a delicious meal is fast, simple and more nutritive with VitaClay, especially with the hundreds of taste-tempting rice and slow cooker recipes. Essential vitamins and minerals are enhanced when you germinate your brown rice on our artisan yogurt setting. All in all, this is the absolute PERFECT clay cooker for beginners or those who have a busy household!